Hottest night this summer, with hottest temperatures! Mermaids and sea gods are expected at the bar and on top of it, Bucharest wet sailor party! 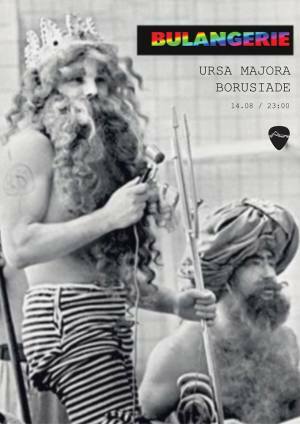 "Bulangerie 17 >> Sea Fest: Ursa Majora + Borusiade" Party in Bucharest. You can get here description, reviews, address, time and details of "Bulangerie 17 >> Sea Fest: Ursa Majora + Borusiade" Party in Bucharest. Visit Bucharest Tips for more Party events in Bucharest!